The FN M240 is one of the most essential and widely used small arms in Iraq and Afghanistan. Rugged and highly reliable, this weapon’s high volume of fire makes it the principal suppressive fire instrument for the infantry platoon and company. The FN M240C variant is used by all branches of the U.S. military. It is designed to provide a high volume of fire for armor and aircraft deployment. The M240C appeared in the U.S. inventory in 1983 and is designed for right-side ammunition feed as required in the co-ax mounting mode. 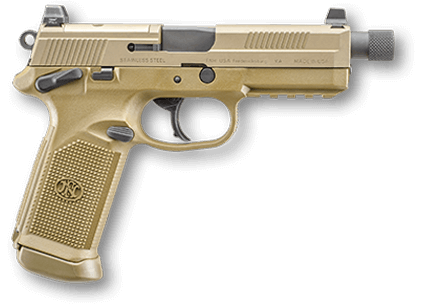 It is equipped with dual spade grips and thumb-activated trigger systems, and can be quickly converted for dismounted infantry use via an egress components kit that includes a bipod and conventional pistol grip trigger module.